A boiler is an important purchase for your home – you want one that will be reliable, suitable for your needs and keep you supplied with heat and hot water throughout the year. 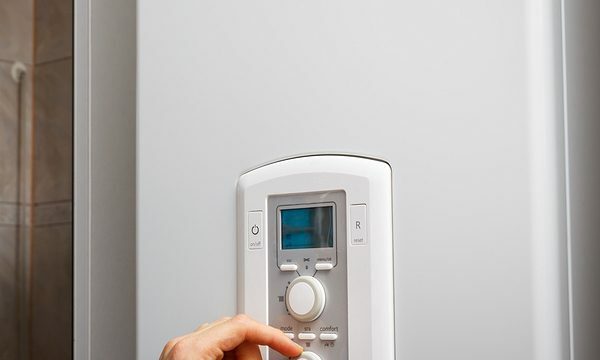 Knowing what types of boiler to choose or which may be best for you is not an easy decision as plenty of technical factors can be taken into account and this can often confuse a lay person. In this article we seek to examine the range of general boilers that exist. The main types of boilers are combination (combi,) system boilers and conventional boilers. We will now look at some information regarding each. Combi boilers are exactly what they say –a combination of both a hot water and central heating system. These work by drawing cold water from the mains supply and heating it directly as required. Due to operating in this way there is no need for a hot water storage tank in the loft or a cupboard as required with other systems. Hot water is delivered at high pressure making combi systems very useful. These are also very popular for both cost and efficiency reasons and many homes choose a combi system. Whereas combi boilers don’t need a storage tank conventional boilers do. These tanks are normally stored in the loft or bathroom area in a cupboard depending on how big the house is. On the subject of the size of the house, conventional boilers also relate to this very well. For houses with many rooms (particularly bathrooms) a conventional boiler is probably a more sensible option. 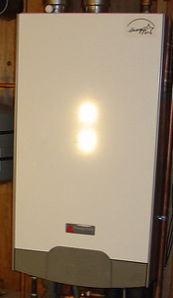 Conventional boilers and their tanks have the capacity to store big quantities of hot water after it has been heated, making it ideal for a trafficked property. However once the supply has been used it can take time for the cold water to warm up to start the process off again. Conventional boilers also need a cold water tank to feed the supply, so space and complexity of installing can be an issue. Traditionally these boilers were very popular but have declined recently. The old versions lack efficiency but modern designs have made good advancements making them still a viable option (depending on your house size). * Recommendations from friends and family. 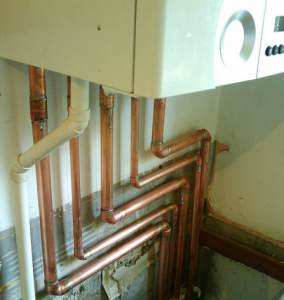 Above: Some of the complex pipe work that can be associated with a combi boiler. Whatever your boiler issues are, we at UK Gas are here to help you. 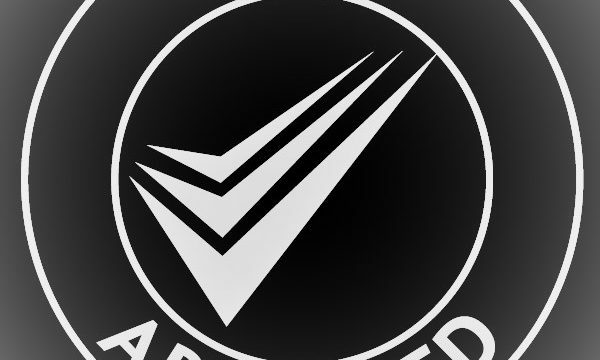 If you would like to find out more visit our boilers & central heating systems page.